This magnificent sun dial was erected on the wall of Eyam parish church in 1775. I’ve posted a photo of it before, but this one was taken in October during our stay in Derbyshire. 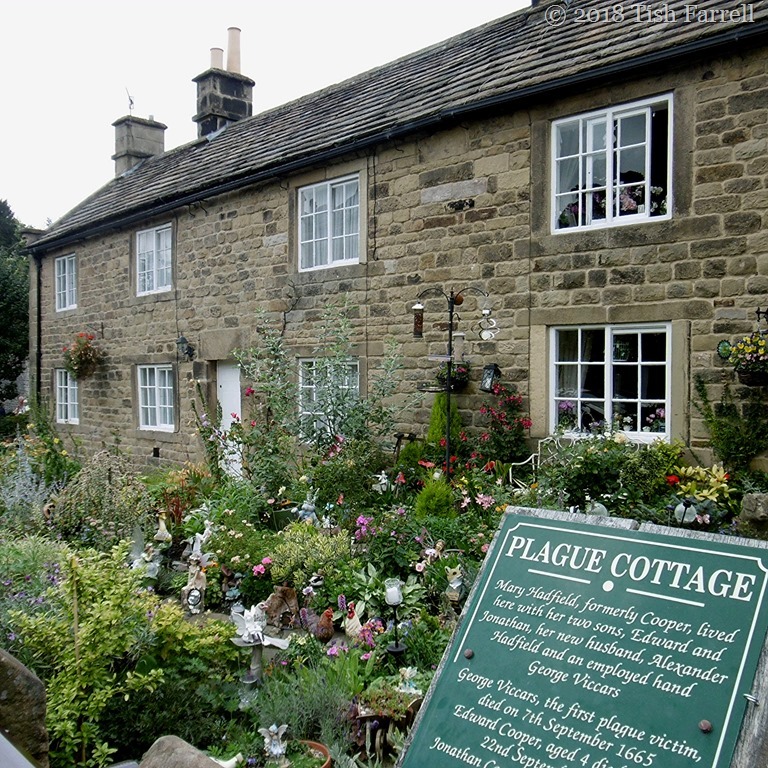 The village of Eyam is famous for its extraordinary response to an outbreak of bubonic plague in 1665 wherein the villagers agreed to quarantine the entire village so as not to spread the infection. You can read more of this story at an earlier post: In Search of Lost Time in Eyam and an Outbreak of Plague. As to the accuracy of this sun clock, well according to my camera it was exactly one hour slow when I took the photo, but then that may have more to do with the way we keep shunting the hour about at different seasons. Time Square #8 Pop over to Becky’s for this week’s squares round up. 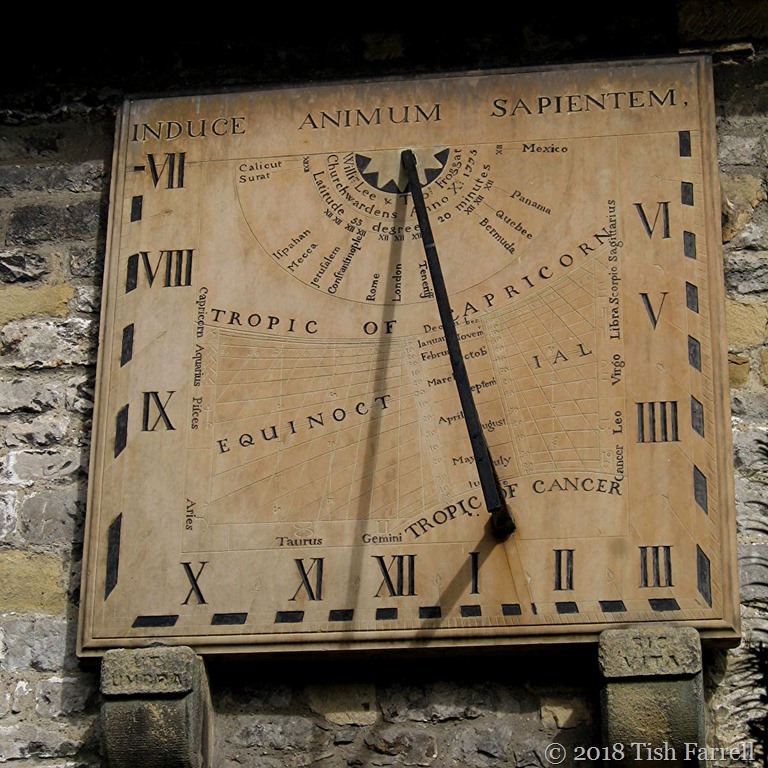 Posted on December 8, 2018 by Tish Farrell	This entry was posted in Heritage and tagged #6WS, #timesquare, Derbyshire, Eyam, sun dial, Tish Farrell Writer. Bookmark the permalink. What a beautiful sundial, and what’s an hour here and there. Time is relative after all! It’s a treasure, isn’t it. And all those wide world connections in an isolated little village. That sun dial is magnificent and I just wonder about how someone knew how to capture the passage of time, measuring the hours, all those years ago. It is a wonder, isn’t it. The stuff of fantasy tales. Visited this village about 3 years ago, Mrs H and the Lemming didn’t like being there odd how it effects some folk. It could feel a bit creepy, I agree. On the other hand the locals seem to have embraced their past with pride rather than nostalgia. We met some lovely elder ladies manning the museum. They were an absolute riot. It didn’t bother me it was an interesting part of history but they demanded we leave and I never got to the museum! This is gorgeous! Quite an interesting place. Would like to visit this someday. It’s a very lovely spot. Have you read ‘Year of Wonders’? I must re-read it. I find that whole story fascinating. No I haven’t, Ali. But you’ver reminded me of its existence so now will seek it out. Many thanks. perfect clock! I hate that most of the clocks/watches nowadays are on batteries, no more winding. Interesting point. Both the sundial and the wind up clock somehow engage one with the process of marking time. Whereas battery timepieces just carry on oblivious, some with a rather repellant gleam or blink. Sun dail, how clever! 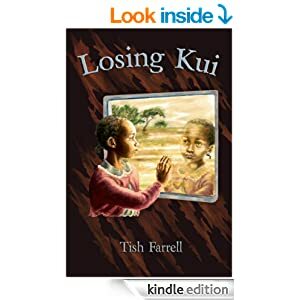 Beautifully captured, Tish! It is, isn’t it. Of itself. That’s a great image – all marking time. That’s a beauty Tish. Never been to the village but I am guessing there must be some feeling of sadness. It’s pity they are such a rare sight nowadays. Thank you for the reblog, Pete.